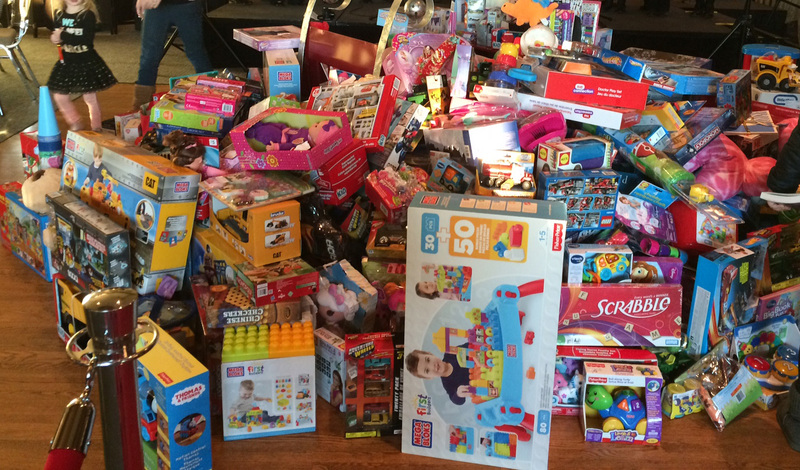 The results and reviews are in for this year’s Ramada’s Toys for Tots Breakfast, and the numbers are awesome! Mainland was very happy to again be a sponsor at the 3rd annual breakfast which took place last Friday, November 27th. It was a record turnout with the most donations seen to date! 1300 toys and over $26,000 were donated. What wonderful things can happen when a community comes together! To read more about the event, check out the Abbotsford Food Bank’s wrap up blog post. The Abbotsford Food Bank continues to bless the community, and we are excited to be a part of the work being done. Companies can get involved too! Take a look at what is involved in sponsoring a family this Christmas season, or put out a donation bin in your office. If you are interested in helping, the Christmas Bureau is still taking donations for toys and food items. If you are outside of Abbotsford, reach out to your local food bank and see how you can help! Wishing you all a joy filled Holiday Season!